A very special Thank You to Rachel over at Acadiana’s Thrifty Mom for this Guest Post! 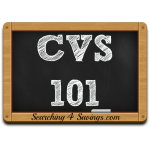 She is an expert in finding store deals, coupon matchups, and Tons more! Stop over to her page and say Hi, and let her know I said Thank You! With the huge popularity of couponing these days, it is no surprise that there is a lot of talk in the coupon world about couponing ethics. There are some things that are simply good practice and other things that are outright illegal. 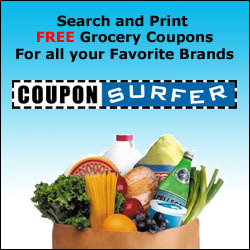 Yes, there is an overseeing organization for coupons and they are very active. This organization is the CIC (Coupon Information Center). Although the CIC is a not-for-profit consumer organization, they are very influential among law makers. 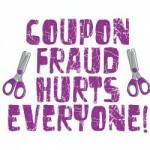 The CIC helps fight coupon misredemption and fraud. I have listed the top 5 guidelines to keep you ethical and legal when using coupons. 1. NEVER (EVER!) Copy a Coupon– I think that speaks for itself. It is illegal to copy a printable (or any) coupon even if it doesn’t state it on the coupon. 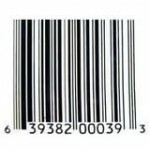 Printable coupons have an IP address from your computer, you will be tracked down by this #. There are safety features on most coupons, much like a check, that will indicate to the manufacturer that it has been copied. 2. Stock Up – Don’t Stockpile More than You Need – Having 10 years’ worth of toilet paper is not going to save you during the apocalypse. 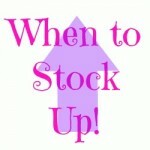 There is no reason to stockpile so much! If you happen to find great FREEBIES, stock up enough for 3-6 months, depending on the size of your family. If you feel the need to get more free stuff, donate it. The weather is turning cool and homeless shelters will be overflowing with needy people soon! 3. Do NOT Clear the Shelves - Do you REALLY need 100 bottles of mustard? If you find a great deal on something, take what you can“reasonably” use in the next 3 months and leave some for the next person! This, of course, does not apply to those stores that only carry 2-4 items of any given product; in that case, you have no choice but to “clear the shelf”! HAVE YOU THOUGHT OF THE SINGLE MOM WHO IS STRUGGLING TO SUPPORT HER CHILDREN, AND ONLY USES COUPONS FOR THAT PURPOSE? 4. Be Kind and COURTEOUS to your Cashier – Many times cashiers are not familiar with coupons since most of the population does not use them. Even among coupon users, the vast majority do not use more than 5 coupons in a single transaction. Be kind and patient with the cashier, they are only doing their job. Help them out understand the Couponing Game! You are in control. Carry your Coupon Policies and show the Cashier what you are talking about. 5. Be Kind to Others in Line – I always tell the people who get in line behind me that I am using coupons/price matching. Most people will either change lanes, stay and watch or at least, be more patient about waiting for a lengthy transaction.